Skylights can spruce up any space. They improve your quality of life with natural light and flood your home with elements of the open floorplan that is trendier today than ever. Moreover, the aesthetics skylights bring to a building are unmatched as far as components to contemporary design. In addition to providing the warmth and atmosphere of an airy atmosphere, skylights also contribute to the energy in your home. 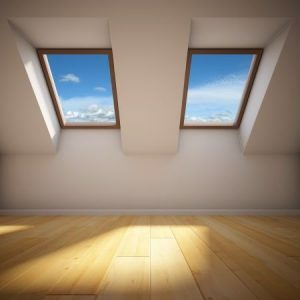 In addition to providing sought-after natural lighting, driving down your electricity bill in the summer, skylights also drive down your heating costs. When installed properly and sufficiently sealed from the elements, natural sunlight flooding your living room or kitchen brings with it heat. This drives down your heating costs and makes for a great looking living space. Increasing our exposure to natural sunlight, skylights do more than open our living spaces to the outdoors. That’s because natural sunlight has an instant positive impact on our minds and body. This is due to the presence of vitamin D in sunlight, which is responsible for increasing serotonin production. Also present in sunlight is vitamin E, healthy for our skin and hair. But having a professional roofer or carpenter install your skylight is imperative. Skylights are by no stretch a DIY project, as they are prone to leaking, poor placement and sealing issues. This has everything to do with where skylights are installed; your roof. Your roof is your first line of defense from the elements and subsequently takes the most abuse from the weather.